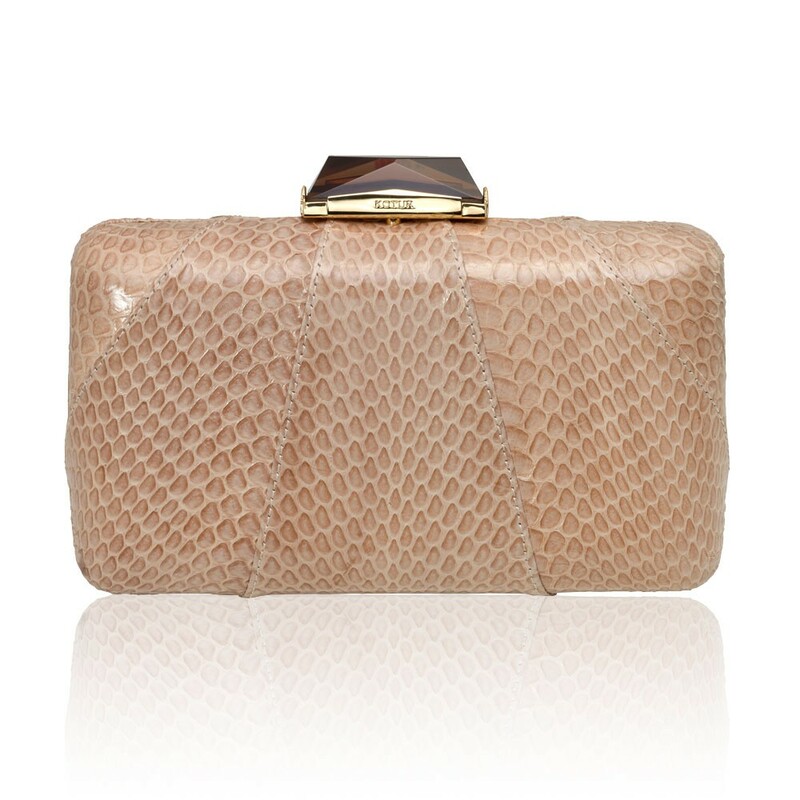 The Espey is a Rectangular box clutch in Sand colour wrapped with snakeskin. With a cut glass clasp, KOTUR's signature brocade lining and featuring a drop-in shoulder chain, this medium-sized minaudiere fits up to an iPhone 6+ and evening essentials. A classic shaped handbag that never goes out of style. Vanessa Marano carries KOTUR's Espey Snakeskin minaudiere to the Teen Choice Awards. Kelly Osbourne carries KOTUR's Espey Stripe Embossed Brass Minaudiere to the amfAR Gala.